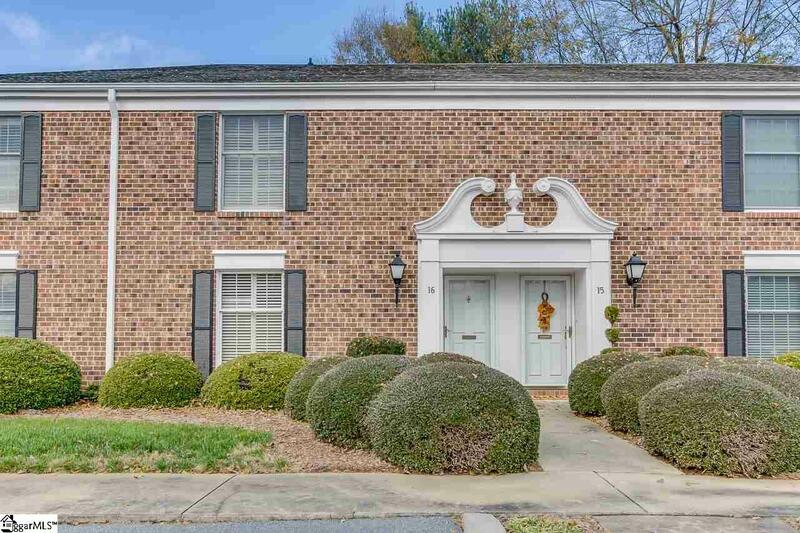 This move-in ready luxurious condo offers the perfect combination of gorgeous upgrades and great location between downtown and Greenville&apos;s eastside. You will be impressed by the new hardwood flooring throughout the downstairs as well as the beautiful plantation shutters both downstairs and upstairs in all the bedrooms. The owner has installed brand-new carpet upstairs and freshly painted the interior. The back patio with brick pavers offers you a private paradise for bird watching and enjoying your morning coffee, while you are surrounded by lovely azaleas and camellias. Don't miss the huge attic with lots of room for storage. This home also offers a built-in security system with keypad. The kitchen appliances and washer and dryer are gently used and will convey with the property. Come see why Charter Oaks is one of the most sought-after condo communities in Greenville and schedule your private showing today.